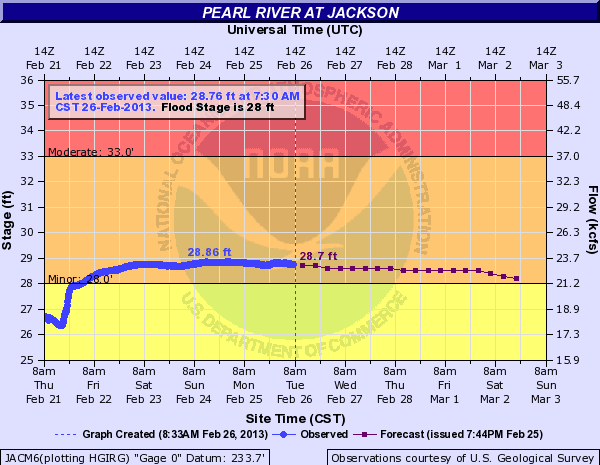 The rain has me thinking of the consistently high water levels of the Pearl River in Jackson. The present water level is minor flood stage, and has been since February 21. Pursuant to forecast levels, it will stay that way for at least the next four days. 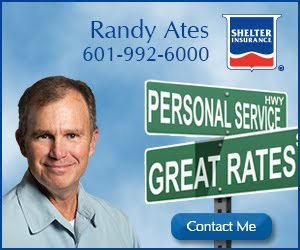 A friend of mine pointed me to a web page containing the historical high water marks for the Pearl in Jackson. Interesting stuff. According to these figures, on January 22, 2013, the River reached it's highest level in nine years.